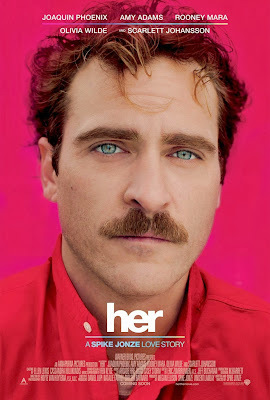 GSC Movies will be releasing the science fiction romance film “Her” on 16th January 2014. The movie is about a brilliant story of a man who develops a relationship with a female voice produced by an intelligent computer operating system. Theodore is a complex, soulful man who makes his living writing touching, personal letters for other people. Heartbroken after the end of a long relationship, he becomes intrigued with a new, advanced operating system, which promises to be an intuitive entity in its own right, individual to each user. Upon initiating it, he is delighted to meet "Samantha", a bright, female voice, who is insightful, sensitive and surprisingly funny. As her needs and desires grow, in tandem with his own, their friendship deepens into an eventual love for each other.